... you just hear the failing try of the starter to crank and start the engine up. If you didn't spend any thought about the immobilizer it's very likely that this little chip doesn't want that you steal your ... ugh ... own car. The most immobilizer units prevent the fuel injection and interrupt the starter's circuit if they recognize any problem with the ignition key or ignition lock assembly while starting the car. Let's start with the easiest solution. K-Tuned offers an all-in-one immobilizer and multiplexer bypass solution. The installation is very easy since it's done by wiring in the four wires of this little box into the ECU's harness. By using this bypass you're able to start your engine but the green immobilizer warning light in your dash will blink all time. This is an easy option but the bypass will cost a few bucks. And, of course, your immobilizer and multiplexer system will be disabled all time. In some cases not praticable. The cleanest solution. 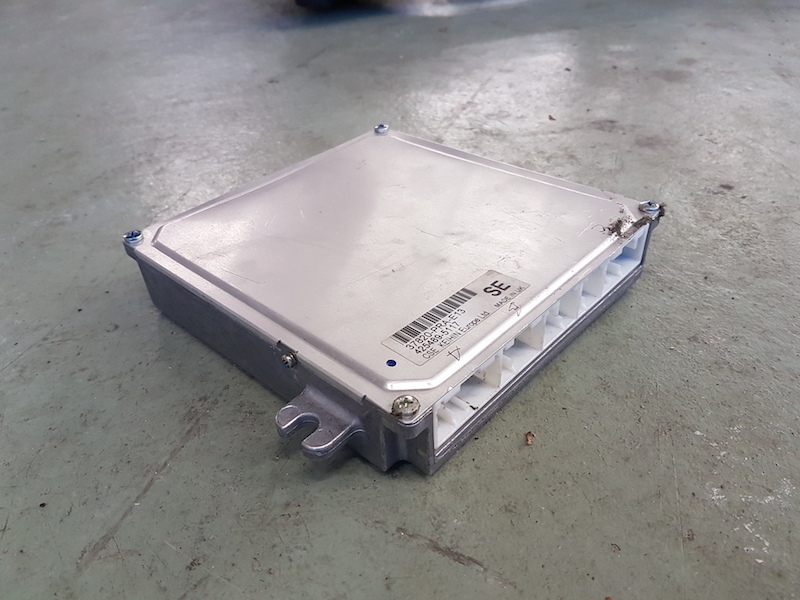 Honda dealers are able to reflash the immobilizer chip by connecting a Honda PGM Tester to the car. After the reflash process has finished, you'll be able to start the car with your ignition key, the warning light will turn off and the immobilizer system will remain active. The only problem would be carrying the car to the dealer. If you plan to use an aftermarket ECU instead of the stock K-Series one, you can sit back and relax in comfort. The immobilizer unit is soldered onto the platine of stock engine control units and aftermarket parts don't have one. If you use an aftermarket part in addition to the original ECU like Hondata K-Pro, you're able to disable the immobilizer from its configuration section. Nice work , well done.